Cranberry apple topped pancakes, a tart and sweet topping for your favorite pancakes. I can’t believe it is the week of Thanksgiving. It is hard to believe that the holidays are starting. I have a love-hate relationship with this time of the year. I love the holidays, I love being with family and friends, I love all the amazing foods, but I don’t like the rushing to get things done at this time of the year. Every year at this time I tell myself that I will never be ready for the holidays that are coming up. And you know what? When the holidays arrive I have everything under control. Hopefully, it will be the same this year. As for some of the things at this time of year are cranberries. As I mentioned in an earlier post, I can’t wait until cranberries come into the stores when fall hits. Another thing that I love is pancakes. Normally I like maple syrup on my pancakes, but every once in a while it is nice to change things up. 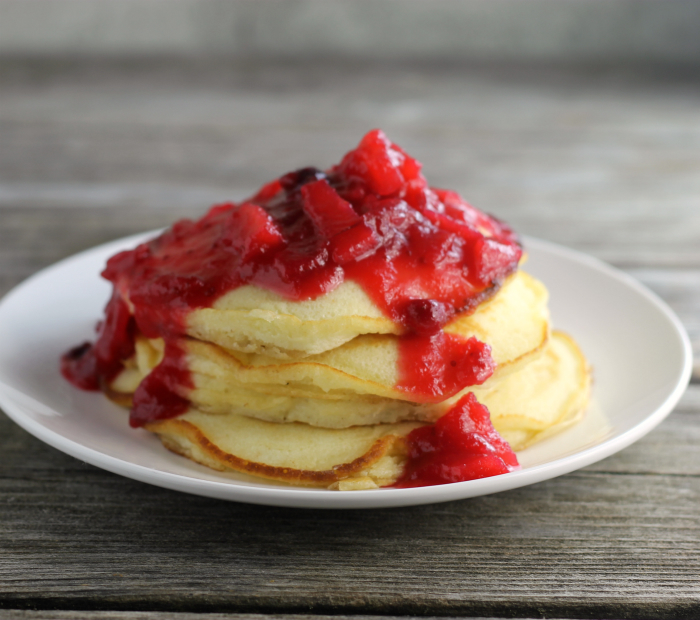 I used my go-to pancake recipe for the cranberry apple sauce and to tell the truth, the sauce transformed these plain pancakes into something special. 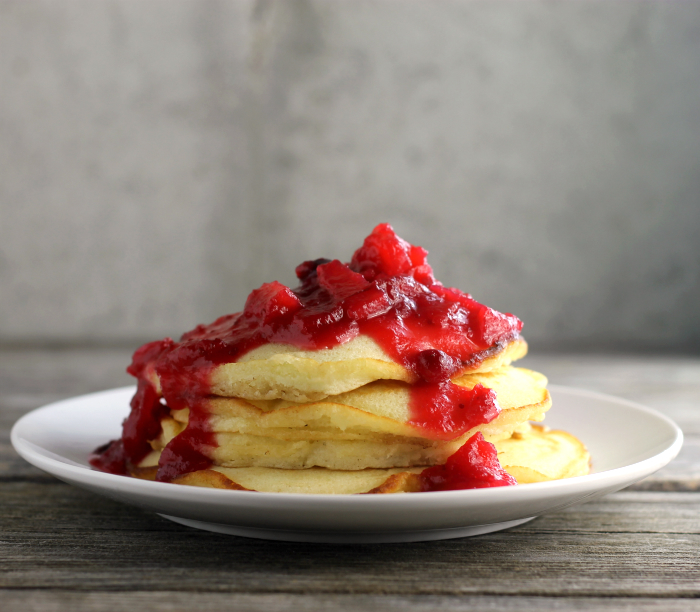 Yes, cranberry apple topped pancakes would be perfect for your Thanksgiving breakfast. The sauce comes together in under a half an hour and is wonderful over pancakes, but it can be used for pound cakes or whatever you can think that goes with cranberries. What is your favorite way to top your pancakes? Wash the cranberries before cooking them. In a large saucepan combine the cranberries, apple, orange zest, orange juice, and sugar. Cook the mixture over medium heat until it comes to a boil. Reduce heat slightly and continue to cook until the mixture starts to thicken, about 15 minutes. Remove from heat and serve while it is warm. Beat the egg and add the milk, and oil; add to the dry ingredients. Mix until the wet ingredients are mixed in. Don't worry if there are lumps left in the batter. Melt butter in a skillet or griddle, add the pancake batter. Fry until the top is bubbled up and the bottom turns golden brown. Flip and fry until the bottom is golden brown. Serve hot with cranberry apple sauce. Source: Recipe for pancakes is from the Better Homes and Gardens New Cook Book. If you like this recipe, take a look at this one! One of my favorite toppings for pancakes is just a good maple syrup + toasted pecans. 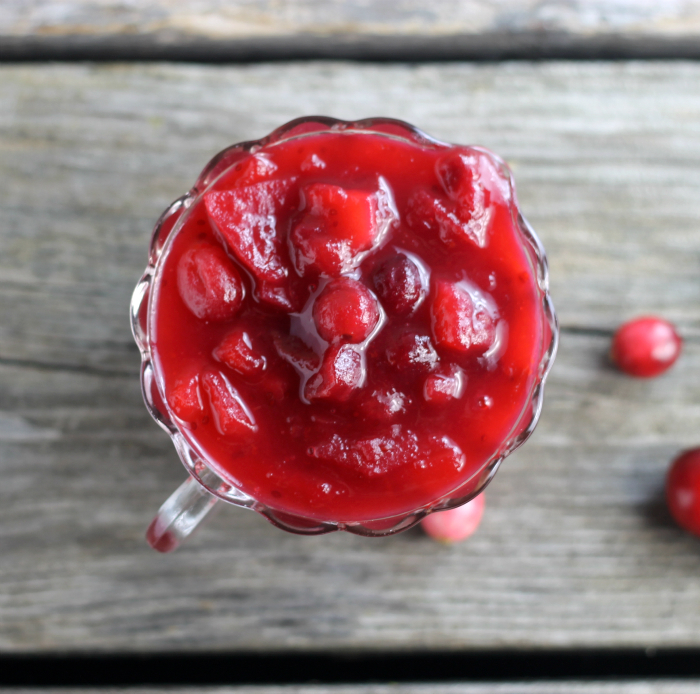 But I can totally see this cranberry apple sauce becoming a new favorite…it sounds like a perfect breakfast for the holidays! Yum! I never thought of adding my cranberries to my pancakes. The pancakes are very fluffy and the cranberry sauce makes them even more tempting! Dear Dawn, I am also very happy when a holiday season backs. And as fun as when continuing to know a super tasty pie. I love every cake there are jam and juice in it. So, I will make this dish immediately. Hope it will be successful to be able to share with you. Thanks! I’m not big on maple syrup over pancakes or waffles. 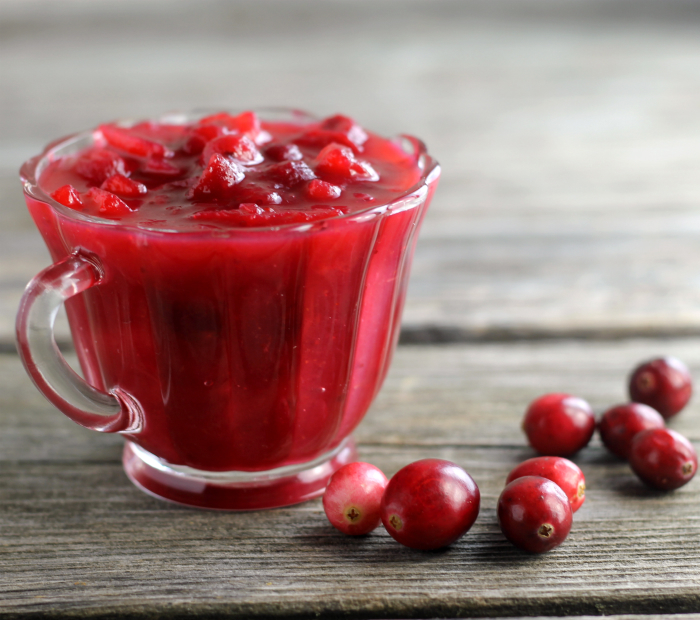 I’d much rather have fruit, so your cranberry sauce looks like a delicious option for autumn!! Happy Thanksgiving, Dawn! Oh my goodness, that is so charmful! What a awesome idea and perfect combination of cranberry, apple and pancake! So classy! I like how you can use 2 types of these fruit to create a mixture that can make pancakes dish become more attractive like that! Thank for recipe!